It's hoped the discovery of small yet 'powerful' biomarkers in MS patients will lead to improved treatment. Australian scientists have discovered tiny unique molecules in the blood of Multiple Sclerosis sufferers, a breakthrough that could improve diagnosis and treatment of the chronic inflammatory disease. Currently, there is no definitive test for MS. Diagnosis and the monitoring of the progressive and relapsing disease has relied on clinical examination, the use of MRI imaging and electrophysiology - testing of the heart's electrical activity. The discovery of the very small yet "powerful" biomarkers by researchers at the University of Sydney and Royal Prince Alfred Hospital could eventually mean MS is diagnosed and monitored via a simple blood test. "Our blood test can easily tell the difference between normal healthy people and people with MS on the blood test," said lead researcher Associate Professor Michael Buckland. Importantly it was "very good" at discriminating between people with progressive MS versus people with the relapsing, remitting form, he said. However there is still a long way to go before such a test would be in use. 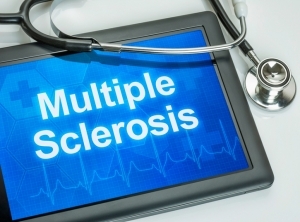 MS affects more than 23,000 Australians and more than two million worldwide. Most are diagnosed between the ages of 20 and 40. The condition tends to take one of three different forms ranging in severity from mild to severe. The most common is Relapsing-remitting MS (RRMS), affecting 70 to 75 per cent of sufferers. More than 50 per cent of those will develop Secondary progressive MS (SPMS) which becomes steadily more severe. Historically the progressive forms of MS have been drug resistant but with "promising"drugs in the pipeline it has become more important to pinpoint when the disease changes course, Prof Buckland says. Using next generation exosome analysis, researchers identified nine 'dysregulated' micro- RNA molecules in the blood of MS patients. Exosomes are released by brain cells and circulate in the blood. The researchers say it's likely some of the circulating exosomes in MS patients come from affected and inflamed central nervous system cells,. "In studying the blood exosomes of healthy volunteers and patients with MS, the research team identified a 'molecular signature' of MS that not only correctly diagnoses MS but also discriminates between patients with different stages of disease," Prof Buckland said. The findings, published in journal Nature Scientific Reports, have been welcomed by MS Research Australia CEO Dr Matthew Miles. "This blood test may allow people with MS to begin treatment earlier and identify the most appropriate treatment for their condition," he said. "This, in turn may lead to fewer relapses and a slower loss of brain volume, resulting in slowing or potentially halting progression of the disease for the person living with MS."
What makes happy, healthy Australians?